No matter you are after exciting new movie trailers or funny videos, there’s always something for everyone on YouTube. As long as you pay a little attention, you will notice that people from all places are using it to either upload, view or share video clips. However, it is disappointing that YouTube videos are generally in FLV format which is unplayable on such device as iPad. In this case, downloading YouTube videos to iPad may first occupy your mind. In fact, it is hassle-free to transfer videos from YouTube to iPad. But for Mac users, things may become a little bit complicated as many programs are only available for Windows. 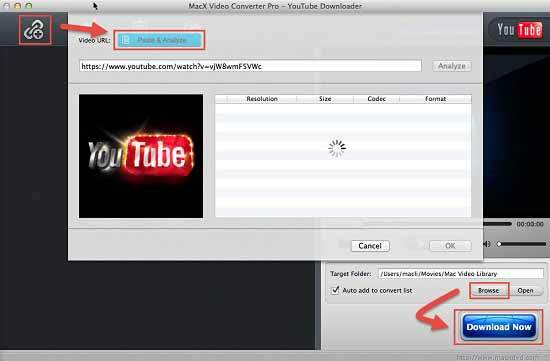 Never mind, this article introduces a professional yet easy-to-use YouTube to iPad converter for Mac, which is MacX Video Converter Pro. This program works as both YouTube downloader and Mac iPad video converter, capable of downloading videos from YouTube to iPad (iPad Pro/Air 2/mini 4 included) and transfering to iPad friendly format, thus making YouTube videos to iPad conversion happen in a couple clicks. Thanks to the powerful YouTube video converter for Mac, you can transfer files between a wide range of formats like MP4, MOV, etc and edit videos in a number of ways so that you get exactly the pieces of each video of your choice. No.1 iPad YouTube video converter to free download/convert HD 1080P/720P, UHD 2160P videos from YouTube to iPad (iPad Pro/Air 2/mini 4 etc), fast speed and excellent quality! Here is a detailed guide about how to convert YouTube videos to iPad friendly format. You can use this YouTube to iPad converter for Mac to feel free to download and watch YouTube videos on your iPad (iPad 2/3). 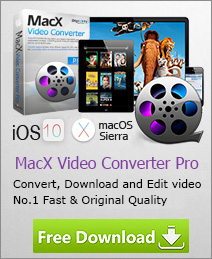 Free download and run this iPad video converter for Mac (Windows version for PC users is also availalbe), click "YouTube" button, copy and paste the video URL to the type box. This YouTube to iPad converter for Mac supports downloading videos from YouTube, Dailymotion, Google video and 300+ other video-sharing sites. After you click "OK", the rest video downloading job will be automatically done. Choose "to iPad" as output format. There are also much more output video format to be chosen, such as MOV, MP4, YouTube, MP3. Then you can start converting video from YouTube to iPad on Mac. When the conversion is done you can enjoy the video on iPad any time you like. Other features of this YouTube to iPad converter for Mac include the ability to extract audio from video files and transfer to iPad supported audio formats YouTube to MP3 to enjoy them where you go, take snapshots from the video in JPG, BMP format and collect them as fantastic wallpapers for your Mac computer. You can also trim video segment or cut off the unwanted part by setting up the start time and end time as you want with this software. If more output formats are your ultimate aim, it also offers you a hand to download YouTube to iPad and helps to convert among a wide range of video formats for playback on iPhone (iPhone X/8/7/6S/6S Plus/6/6 Plus included), iPad, iPod, Samsung, HTC, etc. 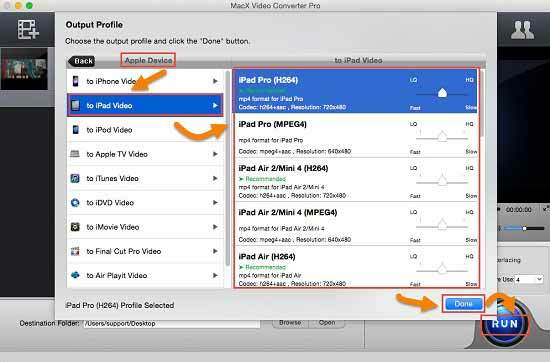 This tutorial will show you how to download and play YouTube video on the new iPad 3 with MacX iPad Video Converter, which can download online YouTube videos for free and convert YouTube videos to iPad 3 video formats for playback. Here is a list of three streaming video downloaders for you to download streaming video to hard drive, iPhone, iPad.